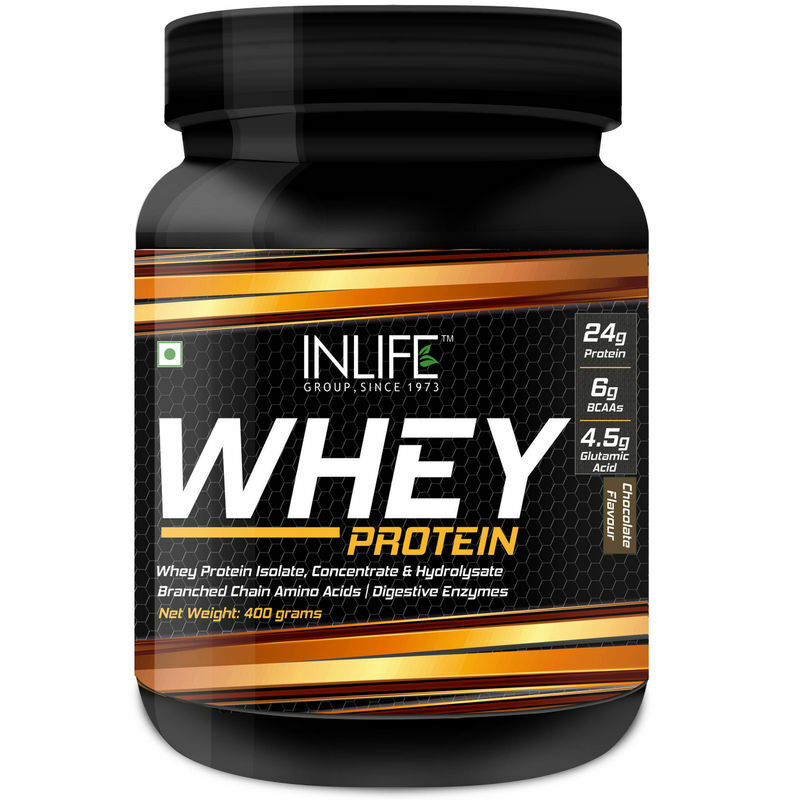 Inlife Whey Protein enhances quality lean muscle and reduces post-workout muscle fatigue, enriched with whey protein isolate; whey protein concentrate loaded with branched chain amino acids BCAA's. It helps reduce the risk of cardiovascular and lowers blood pressure. The drink consists of low levels of fat and carbohydrates and is loaded with 25.5 g of the purest proteins. 25.5g protein per 30g of serving. Decreases excess fat in the body. Explore the entire range of Post Workout available on Nykaa. 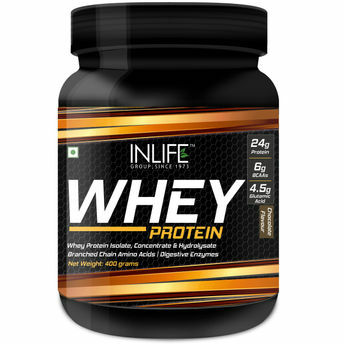 Shop more Inlife products here.You can browse through the complete world of Inlife Post Workout .